I started an online private journal in 2004 on blogger. Without any thought whatsoever, I named it “Bipolar Blast.” When I decided to make it public I deleted the whole history because all I had written was gibberish. I was on a lot of drugs and I hadn’t come to my senses yet. 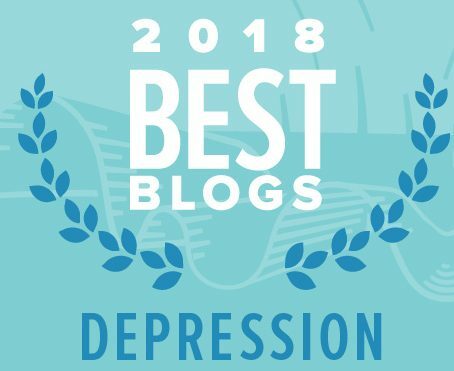 When I started the public blog I had had an awakening of sorts and I didn’t really believe in the label bipolar anymore—certainly not for me. The dilemma was I wanted to reach out to people who identify with the label as I had done for so many years. So I kept the name, again without thinking a whole lot about it—I don’t think I really believed I would be in this for the long haul. In any case the name has never sat well with me. So one day when particularly bothered by the name, I again, somewhat impulsively, renamed it Psychiatric Drug Withdrawal and Recovery. I am now finding that I feel this is too restrictive for what I am really doing for in point of fact I am talking about healing naturally whether one is on meds or not. The psychiatric drug withdrawal is part of the picture, but there is so much more. And what happens when the withdrawal is over? Well maybe the blog will be too, I don’t know, but I wanted a more inclusive title that will draw those not withdrawing too and allow me to continue indefinitely as well. So I now present you with Beyond Meds. That allows for anyone at any point in their journey with mental health issues to feel a part of what this blog is about. Meds, no meds, coming off meds—everybody welcome to come and learn and discuss the issues at hand. Living with mental health issues is simply not all about the drugs. I know I’ve been messing with all your minds, so change the link as you feel fit, or not. I don’t expect everyone to keep up with my changing mind. But I think Beyond Meds will look much better in your blogroll than the clumsy and long Psychiatric Drug Withdrawal and Recovery—a journey. Ouch, what a mouthful! And I’ve bought my own URL so eventually I hope to utilize that as well, though for now the learning curve involved in the transfer is too much for me to take on. The psychiatric drug withdrawal is part of the picture, but there is so much more. And what happens when the withdrawal is over? Well maybe the blog will be too, I don’t know, but I wanted a more inclusive title that will draw those not withdrawing too and allow me to continue indefinitely as well. So I now present you with Beyond Meds. 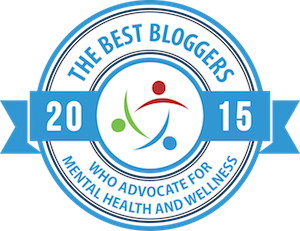 That allows for anyone at any point in their journey with mental health issues to feel a part of what this blog is about. Meds, no meds, coming off meds—everybody welcome to come and learn and discuss the issues at hand. Living with mental health issues is simply not all about the drugs. Gianna, I like this title so much better! I think it will encourage people to read your blog much more thoroughly rather than to bypass it because they’re not experiencing withdrawal off of drugs/medications. You’re totally right. MH issues aren’t just all about drugs. Congrats on the new web domain! Really like the new name Gianna. Much more fitting and also easier on the eyes/tongue. Congrats! “Beyond Meds” is good. Although “Bipolarblast” is very catchy. It certainly peaked my interest when I first saw that name and made me want to check it out. You could say you blasted the diagnosis and treatment. I think no matter what I do many people will always call me Bipolar Blast and I left it in the subtitle on purpose because people look the name up on google. I always liked “Bipolar Blast” as well because it had such a positive connotation. But I believe that our writing should reflect our personal evolution. And “Beyond Meds” is short and catchy as well, and certainly reflects where you are now! Whatever you name it, there is real vision and savvy to what you do. I’m just stepping into the blog waters myself, was about to approach the blogroll task with bipolarblast listed, so this is timely. Though it’s hardly the site as I want yet, I’d be honored if at your leisure you’d read and comment on my first post and page. I like Beyond Meds. That would be a goal for all of us. To get beyond our Meds. I’ll continue to check out your post. I don’t think you could chase me away now. I like your take on things. You made me laugh….does that mean I might have chased you away before?? We’ve got the options of quilts, monsters, a silhouette of a man or nothing…people with wordpress get their photos showing up. they go along with your email….if you change your email you can get a new monster! I like this. It gives you a lot of lattitude. Glad Bloglines makes the changes for me! If you need any help making the changes to your new domain name, let me know. thank you Stef!! I just may take you up on that at some point…it could take a while though. Like to add my congratulations to the new title. Beyond Meds – I like the title. It is positive and carries a new energy with it. Its where we all want to be – very motivating. Does anyone know of Buzz lightyear – the astronaut in the Toy Story movie. His favourite saying is “to infinity and beyond”. That is what the new new title reminds me of. To infinity and beyond. LOL. … love the name change! good choice GK!